Why do people do good things? Is kindness hardwired into the brain, or does this tendency arise via experience? Dacher Keltner, director of the Social Interaction Laboratory at the University of California, Berkeley, investigates these questions from multiple angles and often generates results that are both surprising and challenging. In his recent book, Born to Be Good: The Science of a Meaningful Life (W. W. Norton, 2009), Keltner weaves together scientific findings with personal narrative to uncover human emotion’s innate power to connect people with one another, which he argues is the path to living the good life. Here Keltner discusses altruism, neurobiology and the practical applications of his findings with David DiSalvo. SCIENTIFIC AMERICAN MIND: What, in a nutshell, does the term “born to be good” mean to you? DACHER KELTNER: “Born to be good” means that our mammalian and hominid evolution has crafted a species—us—with remarkable tendencies toward kindness, play, generosity, reverence and self-sacrifice, which are vital to the classic tasks of evolution—survival, gene replication and smoothly functioning groups. These tendencies are felt in the wonderful realm of emotion—feelings such as compassion, gratitude, awe, embarrassment and mirth. Recent studies have revealed that our capacity for caring, play, reverence and modesty is built into our brains, bodies, genes and social practices. MIND: One of the structures in our body that seems especially adapted to promote altruism is the vagus nerve, as your team at U.C. Berkeley has found. Tell us a bit about this research and its implications. KELTNER: The vagus nerve is a bundle of nerves that originates in the top of the spinal cord. It activates different organs throughout the body (such as the heart, lungs, liver and digestive organs). When active, it is likely to produce that feeling of warm expansion in the chest—for example, when we are moved by someone’s goodness or when we appreciate a beautiful piece of music. Neuroscientist Stephen W. Porges of the University of Illinois at Chicago long ago argued that the vagus nerve is [the nerve of compassion] (of course, it serves many other functions as well). Several reasons justify this claim. The vagus nerve is thought to stimulate certain muscles in the vocal chamber, enabling communication. It reduces heart rate. Very new science suggests that it may be closely connected to receptor networks for oxytocin, a neurotransmitter involved in trust and maternal bonding. MIND: Often when we learn about this type of intriguing academic work being done on emotions, morality and related areas, we are left asking, “Is there anything we can make actual use of here?” As you look down the road, what do you want the impact of your work to be out in the world? KELTNER: In summarizing the new science of emotion in Born to Be Good, I was struck by how useful it is. Recent research is suggesting that our capacities for virtue and cooperation and our moral sense are old in evolutionary terms, and these capacities are found in the emotions I write about. Experiences of reverence in nature or of being around those who are morally inspiring improves people’s sense of connection to one another and their sense of purpose. Meditating on a compassionate approach to others shifts resting brain activation to the left hemisphere, a region associated with happiness, and boosts immune functions. Talking about what we are thankful for—in classrooms, at the dinner table or in a diary—boosts happiness, social well-being and health. Devoting resources to others, rather than indulging a materialist desire, brings about lasting well-being. This kind of science gives me many hopes for the future. At the broadest level, I hope that our culture shifts from a consumption-based, materialist culture to one that privileges the social joys (play, caring, touch, mirth) that are our older (in the evolutionary sense) sources of the good life. In more specific terms, I see this new science informing practices in almost every realm of life. Here again are some well-founded examples: Medical doctors are now receiving training in the tools of compassion—empathetic listening, warm touch—that almost certainly improve basic health outcomes. Teachers now regularly teach the tools of empathy and respect. In prisons and juvenile detention centers, meditation is being taught. And executives are learning the wisdom of emotional intelligence—respect, building trust—and that there is more to a company’s thriving than profit or the bottom line. The vulnerability of our children transformed human relationships, argues Dacher Keltner, and made compassion essential to our survival. Charles Darwin was the beloved and engaged dad of a really rambunctious group of children. When one of his daughters died at age 10, Darwin started to have these deep insights about the place of suffering and compassion in human experience. This point was totally forgotten by evolutionary science for quite some time. Well, given all the awful things humans do to each other, how could you make the case that sympathy is our strongest instinct? The answer lies in the dependence and vulnerability of our children. Little baby chimpanzees eat by themselves; human babies can’t. Baby chimpanzees sit up on their own; you sit up a human baby, and they go, “Watch out, man, my head’s really big!” Boom! Their heads are so big because their brains are so big. To fit their big heads through the human birth canal—which narrowed as we started to walk upright on the African savanna—our babies were born profoundly premature and dependent upon people to take care of them. In fact, our babies are the most vulnerable offspring on the face of the Earth. And that simple fact changed everything. It rearranged our social structures, building cooperative networks of caretaking, and it rearranged our nervous systems. We became the super caregiving species, to the point where acts of care improve our physical health and lengthen our lives. We are born to be good to each other. Are you a vagal superstar? You can see our natural connectivity and compassionate instincts in how our brains react to pain. Let’s say I pinch or burn your skin—the anterior cingulate region of your brain will light up. But it’s not just your own pain. If you see somebody else suffering, that very same part of the cortex activates. We have the same pain response to other people’s pain as we do to our own experience of pain. We are wired to empathize, if you will. That’s not the only part of the brain that lights up when we see images of suffering and distress. The amygdala—the brain’s threat detector—activates, which is no surprise since we might worry the suffering will come our way. But there’s another area that lights up, a very old part of the mammalian nervous system called the periaqueductal gray, way down in the center of the brain. In mammals, this region is associated with nurturing behavior. We don’t just see suffering as a threat. We also instinctively want to alleviate that suffering through nurturance. We can find another example of how our bodies are wired for compassion in a fascinating part of your autonomic nervous system called the vagus nerve. Vagus is Latin for “wandering,” and the vagus nerve starts at the top of the spinal cord and wanders through your body, through muscles in your neck that help you nod your head and orient your gaze toward other people and vocalize. It then drops down and helps coordinate the interaction between your breathing and your heart rate, then goes into the spleen and liver, where it controls a lot of digestive processes. Recent studies suggest the vagus nerve is related to a stronger immune system response and regulates your inflammation response to disease. This makes the vagus nerve one of the great mind-body nexuses in the human nervous system. Every time you take a deep breath, your heart rate slows down. You see baseball pitchers do this on the mound—they breathe out to calm down, just before they start their windup. The vagus nerve controls that relationship, between the breathing and the calming. In our lab, we show participants photos of suffering and distress and find that these images activate the vagus nerve. We’ve also found that if somebody tells you about a sad experience—of, say, their grandparent dying—your vagus nerve fires. If they tell you an inspiring story, their vagus nerve fires. The more you feel compassion, the stronger the vagus nerve response. We also show our undergraduates images intended to inspire pride—like Berkeley’s Sather Gate or the school mascot—and we find that the more pride they feel, the weaker the vagus nerve response. And that really astounds me. This result tells us that when you feel a strong vagus nerve response, you are feeling common humanity with many different groups. When we’re encouraged to feel strong identification with just our own group and not others, the vagus nerve dims. We’ve also found people who have really strong vagus nerves—“vagal superstars,” as I like to call them. We find that these folks have more positive emotion on a daily basis, stronger relationships with peers, better social support networks. Fifth graders who have a stronger vagal profile are the kids who intervene when a kid is being bullied. They’re more likely to cooperate, and will donate recess time to tutor a kid who needs help on homework. There are a lot of data that suggest we are wired to care, down to the neurochemical level. I’m sure many of you have heard about oxytocin, a neuropeptide that goes up to your brain and is then distributed through your body by your bloodstream. You probably know that breastfeeding mothers release oxytocin and so do men who are engaged in a good long smooch with their sweetheart. But there are also new studies finding that it may induce altruism. If I give 10 dollars to study participants and squirt some oxytocin up their nose, they will share more of that money with a stranger than they would without the squirt. That’s why oxytocin has been dubbed “the moral molecule” by neuroeconomist Paul Zak. And here’s the thing: Research suggests that those strangers who receive money will then be more likely to turn around and make their own gifts. Generosity is contagious. Kindness just spreads like wildfire. Researchers Nicholas Christakis and James Fowler have been studying a community in Massachusetts, and they find that among adults, everything is contagious. If your neighbor goes on a diet, you go on a diet. If a person a couple of blocks away start smoking, other people start smoking, and you end up smoking. If you become angry, it spreads to your family and through social networks. But are negative emotions and behaviors more contagious than the positive and ones, as some think? Research says the answer is no. In fact, positive emotions and prosocial emotions are more contagious than any others. They spread much more rapidly and collectively than the negative. This might be because giving and sharing feel good. There are studies showing, for example, that if I share resources with you, I get a little activation in the reward circuit in my brain. What’s more, there’s evidence that these good feelings promote bonding through social networks, even bridging social divisions. My lab has found that if you can get people to feel compassion, they start to feel deeply connected to very different groups. In particular, they feel like they are similar to and share a common humanity with people who are really in need, who are really vulnerable. Cultivating this feeling of compassion makes people more attuned to who is in need and enables more altruistic behavior toward them. There’s one final, crucial social effect of compassion, and it goes back to Darwin and evolution. To pass your genes to the next generation, you’ve got to have qualities that make you attractive as a partner or, in evolutionary language, as a mate. Well, researcher David Buss generated a lot of controversy when he surveyed 10,000 people from 37 different countries—heterosexuals at the age of forming romantic partnerships—and asked them: What is most important to you in a mate? Gender differences generated all the attention around this remarkable study. Women were a bit more interested in men’s financial prospects than men were in women’s, so according to this study, women value resources a little more. And men—primitive apes that they are—were a bit more interested in women’s beauty than women were in men’s looks. But there was another result that no one talked about, and it was this: Kindness was found to be the most important criterion for a mate, and the single universal requirement across these 37 countries. People are looking for kindness as a mating strategy. So forget what you’ve been told about compassion—that it’s unnatural, that it’s for suckers. Compassion is essential to our evolutionary history, it defines who we are as a species, and it serves our greatest needs as individuals—to survive, to connect, and to find our mates in life. Understanding how to maximize self-control of your emotions and behavior can decrease some of the emotional pain that emotionally sensitive people experience. Not acting on impulse and thinking through how your actions in the short-term will affect your long term goals will decrease the suffering that you experience. The good news is that some of the most effective strategies are everyday actions that are only surprising in terms of their effectiveness. Slowing Your Breath: Slowing your breathing to four to six breaths per minute will activate the prefrontal cortex and increase heart rate variability which helps shift the brain and body from a state of stress to self-control. When you are in stress mode, you are not able to think as clearly. Your brain is in automatic survival mode, the need to do just what works in the moment. This is helpful in true emergencies but keeps us from seeing the big picture, our long-term goals. When the brain turns off the stress alerts, you have more access to the plan-ful behavior. Meditation: Meditation improves attention, focus, impulse control and self awareness. Initial results can be seen within three hours and significant improvements with eleven hours of practice. McGonigal (2011) says that over time the brains of meditators have more gray matter in the prefrontal cortex as well as brain regions that are related to self-awareness. Practicing meditation over time will build your ability to stay aware and manage your impulses. Practicing mindfulness will also work. Many people stop meditating because they are “bad” at doing it. Their minds are skipping from topic to topic. Even when your meditation practice seems distracted, you are practicing bringing your mind back to a focused goal and that makes a difference in your ability to focus and concentrate when you aren’t meditating. Sufficient Sleep: When you don’t get enough sleep, the prefrontal cortex develops “mild prefrontal dysfunction,” which is similar to mild intoxication–obviously not good for your self control. Being mildly but chronically sleep deprived increases your susceptibility to stress, craving and temptation. Sleep deprivation diminishes the body’s ability to process glucose which is its main form of energy, and you feel exhausted. When desperate for energy you are likely to crave sweets or caffeine. But your brain and body still won’t get the energy it needs because it can’t process effectively. Self-control requires a lot of energy and so it suffers when you don’t have sufficient sleep. Eat a Balanced diet: If the body is fueled adequately with the nutrients it needs, self-control will be stronger. Practice Self-Compassion: Many people believe that being hard on yourself motivates you to stick to your goals. Turns out that is not true. Self-criticism is actually associated with less motivation and less self-control. Self compassion is associated with better self-control. Structure: Having a regular schedule to eat and sleep helps the body function at its best and that helps build self-control. In addition, building in reminders of your goals that you see on a regular basis is helpful. Reward Substitution: When faced with needing self-control to do unpleasant tasks to get to an important long-term goal, using reward substitution may help. Give yourself an immediate reward for getting through each step toward the long-term goal. For example, if you want to stop biting your nails, give yourself a reward for each day you succeed. Pros and Cons: Focus on what you want to do. If you want to stop yelling at people, then your goal would be to speak in a moderate voice tone regardless of your mood. Then make a list of the pros and cons of doing that. Then make a list of the pros and cons of not keeping your goal. Keep pushing deeper and deeper to list all the important pros and cons. List both short term and long term consequences. Then keep it with you and review it throughout the day and before any situation that you might be tempted to act impulsively (Linehan, 1993). Replace the Behavior: Take a close look at the benefits of the impulsive or destructive behavior. Replacing whatever positives you get from the behavior you want to replace will be important. Exercise: Sometimes it seems that physical exercise is the answer to everything. McGonigal (2011) says exercise reduces cravings, relieves stress and enhances the biology of self-control just like slowing your breath. Exercise reportedly enhances the speed of processing of the prefrontal cortex. 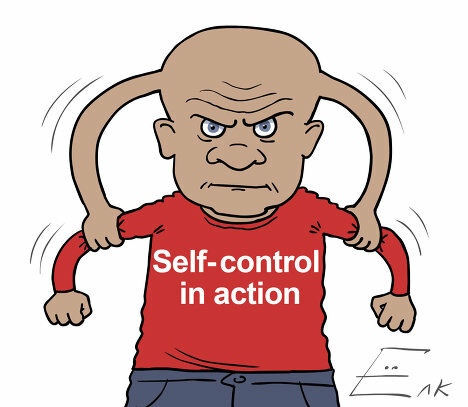 which plays a large role in self-control. In addition, the effects of exercise are immediate. Exercising outdoors is especially beneficial. Five minutes of exercising in nature, even walking, has immediate effects on your mood and self-control. Linehan, Marsha. Cognitive Behavioral Treatment of Borderline Personaltiy Disorder. New York: Guilford Press, 1993. McGonigal, Kelly. The Willpower Instinct: How Self-Control Works, Why It Matters and What You Can Do to Get More of It. New York: Avery, 2012. For centuries learned people have searched for the mystical philosopher’s stone, believed to be the elixir of life and give immortality to he or she who owns it. But could it be that the philosopher’s stone is not so much a stone but an attitude? A groundbreaking piece of research by Kevin Tracey, director of the Feinstein Institute and Professor and President of the Elmezzi graduate school of molecular medicine in Manhasset, New York, has revealed how the nervous system (the vagus nerve) controls inflammation in the body, now known as ‘The Inflammatory Reflex’. Inflammation is one of the major contributors to aging of the body and plays a key role in illness and disease. Most people think of inflammation as the swelling and redness after a cut. This inflammation is a vital part of healing and helps to ensure that nutrient-rich blood is drawn to the site of injury to help facilitate healing. But it turns out that if it wasn’t for the vagus nerve – the longest nerve in the body that runs from the top of the brainstream, through the face, throat, chest, heart, the GI tract, all major organs, and even over certain immune cells – inflammation from a small cut would typically spill out into the bloodstream and lead to septic shock and multiple organ failure. The vagus nerve is the brake on inflammation throughout the body. Once the vagus nerve senses that there are enough inflammatory substances (the chemicals of inflammation) following an injury it sends a signal to the immune cells that make those chemicals and tells them to turn off production. The vagus nerve puts the brakes on inflammation in much the same way that you might apply the brake in your car when you’re travelling a little over the speed limit. The vagus nerve is highly important because inflammation doesn’t only arise in response to injury; it is also a side effect of unhealthy lifestyle factors – like poor diet, drinking, stress, etc. It plays a key role in heart disease, some cancers, and in fact it is involved in just about every serious disease we know of in western medicine. Indeed, it is one the ‘Major Agers’, which are phenomena that most cause aging. So much so, in fact, that many gerontologists believe that if science could develop a powerful body-wide anti-inflammatory drug then the average person would live until they were around 150 years old. But we now know that the vagus nerve is our natural anti-inflammatory nerve. Maybe the wonder drug that pharmaceutical companies are currently searching for isn’t necessary. Maybe all we need to do is train our vagus nerves in much the same way that we train at a gym. Is this possible? It seems that people have different vagus nerve activity, or what is sometimes called, ‘vagal tone’. Think of it like muscle tone. A person who exercises regularly might enjoy good muscle tone and similarly a person who exercises or does meditation, yoga or tai chi, might enjoy good vascular tone. Vagal tone is used in a similar capacity to indicate power, activity, health etc of the vagus nerve. Some people’s nervous systems, then, are more efficient at keeping inflammation at bay, just as different people have different immune system robustness. Some are good at keeping them free of illness and some aren’t quite so good. Recently, a link has been identified between the vagus nerve and compassion. In some studies people who are most compassionate were found to have the highest vagal tone, and similarly the reverse is also true. 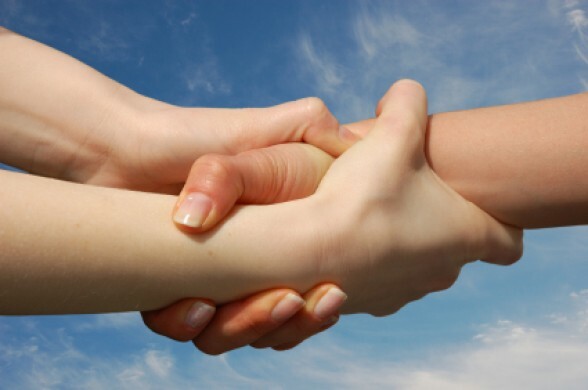 People who have the highest vagal tone tend to be the most compassionate. In some of this research Dacher Keltner, psychology professor at Berkley, calls these people ‘vagal superstars’. According to much of his research, the association between the vagus nerve and compassion is very strong. So could training ourselves to be more compassionate actually train the vagus nerve and reduce inflammation in the body? Scientists have indeed recently studied the link between compassion and inflammation. In a 2009 study, scientists at Emory University School of Medicine, trained 33 people in a compassion meditation, which involved the structured generation of feelings of compassion on a daily basis, and compared them with a group of 28 people who didn’t do the meditation. After 6 weeks those who did the compassion meditation had much lower levels of inflammation in their bodies than those who didn’t. Since the vagus nerve is the primary brake on inflammation and compassion is correlated with the vagus nerve, it makes sense that compassion actually reduces inflammation in the body. Could it be that the philosopher’s stone that many have searched long and hard for has always been right in front of our eyes? In fact, it is not so much in front of our eyes but in our hearts? Could it be that simple? History has taught us that things usually are that simple. Maybe it’s called the philosopher’s stone because it takes a philosopher to consider compassion to be the elixir of life. Perhaps humanity has only just reached a point of spiritual maturity to even contemplate such a thing. So why is it that compassionate people everywhere aren’t living until they’re over a hundred? Well, we counter the effects of it with other lifestyle choices we make – the unhealthy foods we eat, the toxins and stimulants we take into our bodies, our unhealthy habits like smoking and drinking (too much), not exercising regularly, and also our mental emotional stresses of life. Many of us are so stressed that we neutralise the effects of most of our healthy habits. Perhaps, the journey now is to learn to treat our bodies and minds well. Eat well, sleep well, exercise well, think well, and show people that you care! Perhaps this formula is the mystical philosopher’s stone. Maybe the stone is not a stone, but a Way, the philosopher’s Way. And that way is compassion. For a good summary of the compassion-vagus nerve-inflammation link, see David R Hamilton PhD, Why Kindness is Good for You, Hay House, London, 2010. It turns out you don’t have to be miserable during the holidays.That’s now scientifically proven by studies, say UC Berkeley scientists who do those studies. These wise men and women have come up with quantifiable, tested data showing that with little more than an attitude boost, anyone can get through the toughest of holiday times with not just smiles on their faces, but real warmth in their hearts. That goes for all those encounters with father-in-laws who could never stand your face, nephews who smash your favorite platter just to hear it shatter and sisters who think you’re a loser. Or even cousins fresh out of prison for the New Year. It’s all about concentrating on the things in our lives that work well and being thankful for them, then tossing in a heaping helping of compassion, say the goodness-minded folks at the Greater Good Science Center. Carrying on nice family rituals, religious or not, that are comforting and foster pleasant togetherness also goes a long way, they say. The center has a set of reports, self-administered online tests – the “Altruism Quiz” is one – and graphics with good-attitude hints to reinforce all this advice. Paying close attention can help grind the Grinch right out of anyone, the center’s researchers say. Those three things consist of feeling grateful for the good things in your life, taking time with your family and using every opportunity you can to help others. “The need for feeling grateful starts with Thanksgiving, but it doesn’t have to end,” Carter said. “It’s important all year round to be grateful for the things that a lot of people take for granted. It can be your kids, your close friends, even just the fact that you have hot water for a shower. As for helping others, Carter said, studies of emotional stimulation prove that the old saying about it being “better to give than to receive” is not just folklore. “When you help someone else, whether it’s at a soup kitchen or just among your friends, it just makes you happier,” she said. “For one, when we’re focused on other people, we can’t focus on ourselves as much. You can’t be brooding on that nasty e-mail you got from the stepmother who doesn’t want you to cook turkey, or whatever. “A lot of us just need to be distracted from ourselves sometimes,” Carter said. Dacher Keltner, founder of the center and a UC Berkeley psychology professor, said his research on the vagus nerve in the brain is reinforcing the importance of compassion. The vagus nerve extends from the brain down to the abdomen, and it reflects and stimulates feelings of happiness. Dacher’s research with doctoral candidate Craig Anderson indicates that showing compassion, maintaining eye contact and taking time to relax with techniques such as taking a deep breath all result in a healthily stimulated vagus – which in turn makes you happier. He said his center has found that people are less connected to their neighbors and have fewer friends than 20 years ago, and that counteracting that trend is useful for Christmas, Hanukkah or New Year bliss. Carter is well aware that the reaction to feel-good advice can at times be more a rolling of the eyes rather than a nod of the head. That’s understandable, she said. Letting yourself enjoy the holidays, let alone your entire life, can take a bit of concentration and work, she said. But it’s worth it. In 2003, Dr. Jon Kabat-Zinn of the University of Massachusetts Medical School conducted a research study regarding the effects of meditation on highly-stressed employees at a high-tech company. The resulting brain scans showed that those employees who had been taught to meditate experienced a transfer in their brain activity into the joy and happiness center in the left frontal lobe of the brain. Studies like this one are getting more and more companies, as well as individuals, thinking about the benefits of meditation and what the practice could mean for them. From increased productivity and job satisfaction to better relationships among employees, there are some real reasons to consider meditation in the workplace. Of course, all of these benefits can be extended to everyday life, too, so considering meditation just for job purposes is too narrow of a focus. Instead, think of how you could gain physically, emotionally, and spiritually by incorporating a few minutes of this deep relaxation into your daily schedule. Thousands of years’ worth of evidence shows pretty conclusively that those who practice meditation are both happier and healthier overall. Not bad for something that requires no money, no equipment, and only a few minutes a day. The driving force behind evolution is adaptation toward survival. That organizing principle has enabled life from bacteria to Homo Sapiens to thrive. But we have reached a new phase in human development. To a great degree, threats from the natural environment no longer define our existence. Night-roaming carnivores are generally not the nemesis. The most virulent threat we face today is rooted in our own Darwinian heritage. It springs from tribal and xenophobic impulses buried deep within primitive brain structures. These impulses create conflicts between countries, races, religions, and even neighborhoods. But we can jumpstart evolution and leverage it on our own terms. We can literally rewire our brains toward greater compassion and cooperation. As always–it begins with the individual. We spend a lifetime learning the details of our culture and the tools of intellectual inquiry. But we invest virtually no energy in mastering our own consciousness. Taking control of mental states positively impacts both personal and societal well-being. There are many meditative paths: Buddhism’s Zazen, Transcendental Meditation, Tai Chi, ritualized dance, cycles of the rosary, visualizing energy moving up and down the spine as described by Hindu traditions, Islamic prayer chants, and Judaism’s Torah readings. Prayer and meditative practices are part of every major religion; they take us out of ourselves. The primary goal of meditation is to minimize internal chaos and noise — a calming and centering activity. In an era of multitasking, jump-cut media overload, and the demands of 24/7 technology connectivity, these practices become even more important and beneficial. Meditation can become an integral part of daily life. A simple pause to look at the trees or the sky helps to momentarily shut down mental checklists and rehashing of the day’s activities. It can change our mood almost instantaneously. Stopping regularly to observe the breath is another powerful interrupter. Before bed, imagining consciousness leaving the confines of the body and becoming expansive can lead to relaxation and restful sleep. Recent developments in the biological sciences indicate that environmental influences can alter a newly recognized layer of genomic control called the epigenome. And some epigenetic changes have even been shown to persist across generational boundaries. Until recently, this was thought to be impossible. Extrapolating this notion, we might speculate that the benefits resulting from meditative practices could conceivably be passed on to future generations. 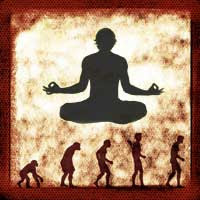 Evolution on-demand springs from the human ability to self-determine. Xenophobic instincts, while inarguably part of our biological hard-wiring, do not have to dictate our interactions. The capacity for choice is one of our greatest gifts as a species. We can positively affect our personal behavior through meditative practice. And we can all participate in that process — starting now. Business schools are tapping into their “soft” side. This fall, students at Columbia Business School will be invited to learn the art of meditation. Emotions will run high in Stanford Graduate School of Business’ long-running “Touchy Feely” course. And professors at the University of California at Berkeley’s Haas School of Business will try to teach students to rein in their type-A personalities, lest they upset fellow classmates. It’s all part of a continuing push by business schools to teach “soft skills”—such as accepting feedback with grace and speaking respectfully to subordinates—that companies say are most important in molding future business leaders. Although business schools have traditionally excelled at teaching “hard skills” like finance and accounting, those skills become less relevant as an employee ascends the corporate ladder and moves away from crunching numbers to overseeing employees, companies and experts say. However, with classes often resembling a group therapy session, it is hard to quantify what students actually learn in the softer classes. A recent study by DePaul University researchers found that managing workers and decision-making—two subjects that require softer skill sets such as being sensitive when delivering feedback—were most important to acting managers. However, those subjects were covered in only 13% and 10% of required classes, respectively, in a study of 373 business schools, said DePaul professor Erich Dierdorff, one of the study’s researchers. “Business schools are falling short where it matters most,” Mr. Dierdorff said. Part of the difficulty might be that soft-skill classes aren’t respected as much as “hard” courses, like finance, according to professors and students. “[They’re] very easy to parody,” said Michael Morris, director of the Program on Social Intelligence at Columbia University, which started in 2006 and coordinates the business school’s soft-skill classes. Mr. Morris said the Program on Social Intelligence deliberately doesn’t brand itself on classes and keeps a low profile to avoid turning students off from the courses. One such class is a course on “personal leadership,” in which students are tasked to set goals, spend time on introspection and even use meditation techniques to alleviate stress, he said. Columbia also requires students to take a class on determining their leadership style, teamwork and “self-awareness” during their first year. They’re also paired with executive coaches to assess their problem areas and how to improve them over the course of the next year. Part of the restructuring at many top programs is in response to feedback from recruiters, who say that business school students have always been good at technical aspects of managerial jobs but unrefined in leadership areas. In recent years, BASF Corp., the North American unit of chemical company BASF SE, has trained managers who interview M.B.A. candidates to assess soft qualities like leadership capability, customer focus and creativity, said head of staffing Michael Kannisto. Previously, the company looked for expertise in functional areas, like engineering and chemistry, but found that job candidates with proficiency in softer skills ended up leading better, no matter their functional background, he said. When interviewing job candidates, managers from Deloitte LLP assume that M.B.A. candidates have technical prowess and focus almost exclusively on assessing candidates’ soft skills, said Kelly Marchese, a principal in Deloitte’s strategy practice. In one round of interviews, for example, Deloitte has candidates work in groups to solve a business problem and monitors how they interact with each other and deal with disagreements. In response to recruiter feedback, this fall the Marshall School of Business at the University of Southern California plans to double the length of its mandatory Management Communication for Leaders class, which currently lasts eight weeks. Employers want to see that prospective hires are comfortable presenting to a large group or working one-on-one with peers or subordinates, said James Ellis, the business school’s dean. So far, the redesigned course has paid off, Mr. Ellis said. Recruiters say that the students come across well in interviews, which he thinks is helping them land jobs and internships earlier than in previous years. To be sure, soft-skills training isn’t new everywhere. Stanford introduced its optional interpersonal communications class, affectionately nicknamed “Touchy Feely,” more than 40 years ago. It is now one of many soft-skill classes at the school. In the Touchy Feely course, small groups of students learn how to give and receive constructive feedback and control emotional responses to conflict. Rather than use role-playing activities, Carole Robin, a lecturer in organizational behavior at Stanford, has the students learn from actual interactions. Starting with casual chats on topics of the students’ choosing, they get to know one another’s strengths and weaknesses, such as who dominates a conversation too aggressively or who comes across as weak for being too deferential. They are then taught methods for identifying and critiquing those characteristics, and ultimately improving them. 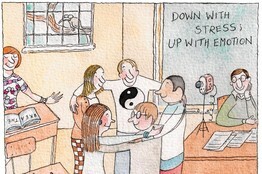 Tears are commonplace, and even hugs, as students accept feedback and share their feelings. Former Touchy Feely student Arnulfo Ventura, who received his M.B.A. from Stanford in 2008, filled his schedule with classes about exerting influence, marketing messaging and leadership development. He said those courses were key to his success in launching Cobá, a Los Angeles-based natural beverage company. Mr. Ventura said his deeper understanding of interpersonal dynamics helps him connect with prospective customers, distributors and financial backers. Still, not everyone is enamored of formal soft-skills training. “Having a professor that’s never led an organization teach me leadership out of a book, really doesn’t do anything for me,” said Mike Marchak, a program manager at Google Inc. and 2008 graduate of Columbia. Mr. Marchak, 32, said he learned more from interacting with classmates in study groups and leading team projects than in classes intended to teach leadership strategy. “I felt like they were too abstract,” Mr. Marchak said. And perhaps that’s because soft skills are some of the hardest to teach. PHILADELPHIA, Aug. 17, 2009 (Reuters) — Buddhist monks and Catholic nuns boost their brain power through meditation and prayer, but even atheists can enjoy the mental benefits that believers derive from faith, according to a popular neuroscience author. The key, Andrew Newberg argues in his new book How God Changes Your Brain, lies in the concentrating and calming effects that meditation or intense prayer have inside our heads. Brain scanners show that intense meditation alters our gray matter, strengthening regions that focus the mind and foster compassion while calming those linked to fear and anger. Whether the meditator believes in the supernatural or is an atheist repeating a mantra, he says, the outcome can be the same – a growth in the compassion that virtually every religion teaches and a decline in negative feelings and emotions. “In essence, when you think about the really big questions in life — be they religious, scientific or psychological — your brain is going to grow,” says Newberg, head of the Center for Spirituality and the Mind at the University of Pennsylvania. “It doesn’t matter if you’re a Christian or a Jew, a Muslim or a Hindu, or an agnostic or an atheist,” he writes in the book written with Mark Robert Waldman, a therapist at the Center. In his office at the University of Pennsylvania’s hospital, Newberg told Reuters that “neurotheology” – the study of the brain’s role in religious belief – is starting to shed light on what happens in believers’ heads when they contemplate God. Science and religion are often seen as opposites, to the point where some in each camp openly reject the other, but this medical doctor and professor of radiology, psychology and religious studies sees no reason not to study them together. “If you see a brain scan of a nun who’s perceiving God’s presence in a room, all it tells you is what was happening in her brain when she perceived God’s presence in a room. “It may be just the brain doing it, but it may be the brain being the receiver of spiritual phenomena,” said Newberg, whose research shows the short prayers most believers say leave little trace on the brain because they are not as intense as meditation. Instead, religious experiences fire neurons in several different parts of the brain, just like other events do. Locating them does not explain them, but gives pointers to how these phenomena occur and what they might mean. In their book, Newberg and Waldman sketch out some of the “God circuits” in the brain and their effects, especially if trained through meditation as muscles are through exercise. Meditation both activates the frontal lobe, which “creates and integrates all of your ideas about God,” and calms down the amygdala, the emotional region that can create images of an authoritative deity and fog our logical thinking. The parietal-frontal circuit gives us a sense of the space around us and our place in it. Meditation suppresses this sense, giving rise to a serene feeling of unity with God or the world. “Even 10 to 15 minutes of meditation appear to have significantly positive effects on cognition, relaxation and psychological health,” the authors declare in the book. As I look forward to co-leading this retreat, People Who Care for People: Tools for Resiliency at the Garrison Institute, I find myself reflecting on caregivers I know. Some practice caregiving professionally, as nurses, first responders, chaplains, non-profit attorneys; others in their personal lives, as parents, children, siblings, friends. As difficult and pressured as caring for others can be, as tiring and overwhelming as it often becomes, many express a very powerful happiness at being able to serve. An important element in how we keep going is being able to touch that happiness, broadening our perspective beyond what we see just in front of us, reminding us of our deepest motivation and what we care about most. In a challenging environment, facing our own or others’ suffering, we need to draw on inner resources. Whether you care for a young child, an aging parent, a difficult-to-understand teenager, a client at work with no clear resolution to their problems in sight, any skillful relationship of caregiving relies on balance — the balance between opening one’s heart endlessly and accepting the limits of what one can do. The balance between compassion and equanimity. 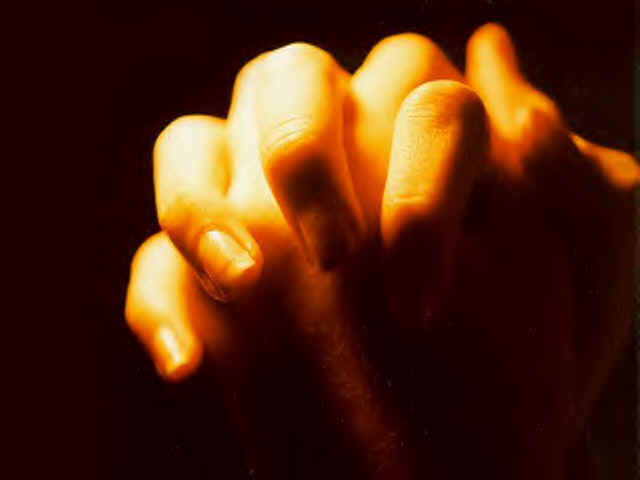 Compassion is the trembling or the quivering of the heart in response to suffering. Equanimity is a spacious stillness that can accept things as they are. The balance of compassion and equanimity allows us to profoundly care, and yet not get overwhelmed and unable to cope because of that caring. I have been involved for several years in a program run by the Garrison Institute, bringing the tools of meditation and yoga to domestic violence shelter workers, and then to shelter supervisors and directors. These people are very much on the front lines of suffering, dealing daily with their clients’ issues of betrayal, heartbreak, fear, anger, humiliation. They might be survivors of trauma themselves. They might receive very little institutional support. They inevitably rely on inner resiliency to sustain their work over the long term. Our premise has been that fostering greater balance of heart and mind is a key to that resiliency, and that one valuable avenue to cultivating this balance is meditation practice. Meditation helps us see our own difficult mind states — such as anger or fear or a sense of helplessness — with compassion instead of self-judgment. It also provides a refuge during life’s storms by helping us connect compassionately with others, no matter the circumstances. Especially in times of uncertainty or pain, meditation broadens our perspective and deepens our courage. The spaciousness of mind and greater ease of heart that naturally arise through balanced awareness and compassion are fundamental components of a resilient spirit. They bring us an unusual kind of happiness, one not determined by the conditions we find ourselves in, not defined by the amount of “success” or “failure” we saw in our efforts today. Meditation helps us return, again and again, to this unique happiness.